Although, it is in the distance, the Haunted Mansion is at the center of this shot. I like the framing of this picture. 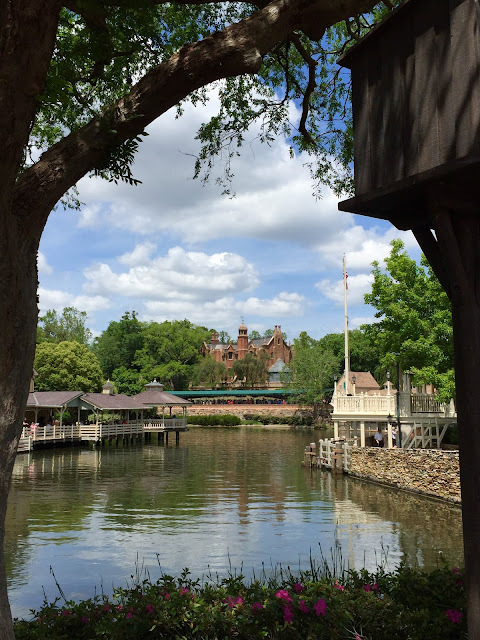 You can see the Liberty Square boat dock on the right and Aunt Polly's on the left, with the river running right down the center. I'm always looking for new angles to photograph the Haunted Mansion, and I found this one on Friday.